Yes, this is the plant responsible for the sticky sweet treat we all know and love. The sugary confection has been made from the root of the Marshmallow plant since ancient times! Today, no s'more is complete without one, and we think no garden should be either! 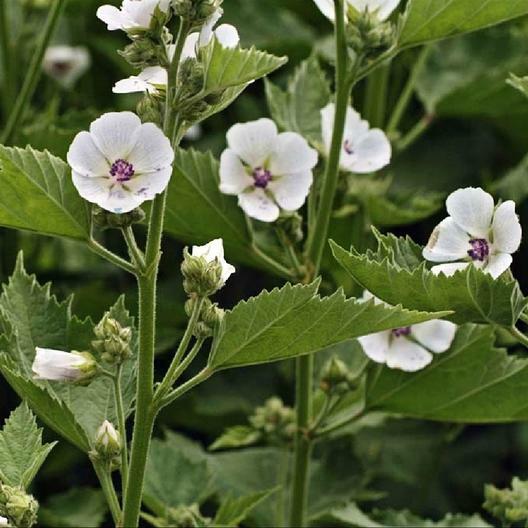 A lovely, ornamental plant in addition to its medicinal and culinary properties, Marshmallow is a perennial shrub that offers large, pale pink blooms on erect plants with large green leaves.